Rosie’s Place is as legit as it gets when it comes to brunch, and that’s why it’s no surprise they’ve worked a tenderloin onto the early morning menu. 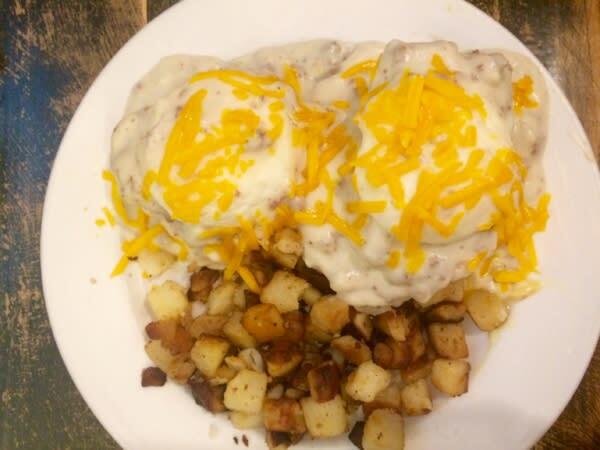 The Pork Tenderloin Benny is their riff on the classic Eggs Benedict, swapping out the muffin for a fluffy biscuit topped with a breaded tenderloin, creamy poached eggs, sausage gravy and cheddar cheese. The Hoosier-inspired breakfast was huge and left us full until 3 p.m,, so plan accordingly. 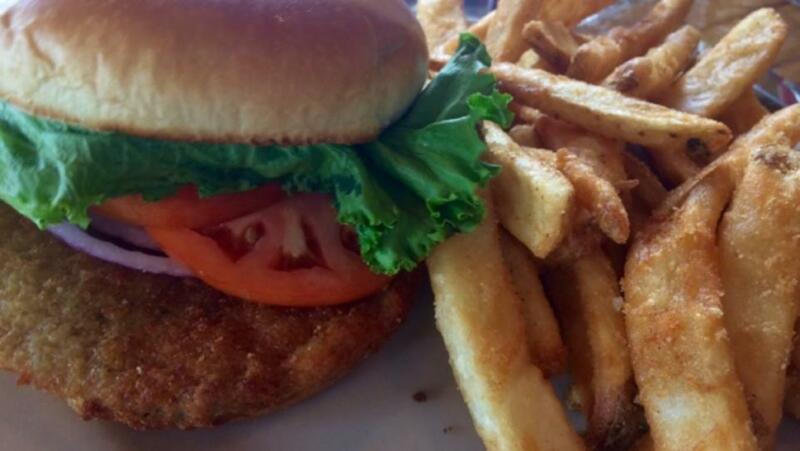 Don’t forget they also serve a classic tenderloin sandwich with all the fixings. Vegetarians shouldn’t be left off the tenderloin bandwagon, and they aren’t! 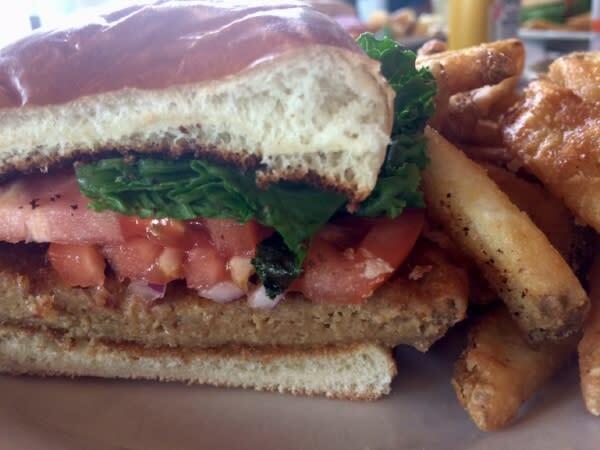 Upland Brewing Co. Carmel Tap House keeps a veg-friendly version in the mix, trading the typical pork patty for housemade breaded seitan. Topped with the usual fixings and served on a toasted Kaiser roll, it’s the perfect answer to its meatier counterpart. And Nickel Plate Bar and Grill adds some extra heat to their version, pumping up the flavor with Cajun seasoning. For me (and you, maybe) spicier almost always equals better. See how versatile this Hoosier staple can be? It can fit with any diet, any palate, any time of day. Tag us in your photos with #TenderloinTuesday and @VisitHamiltonCo and share your experience, and visit our blog all month long for more tenderloin tips and insights. Happy eating!